Oh wait! 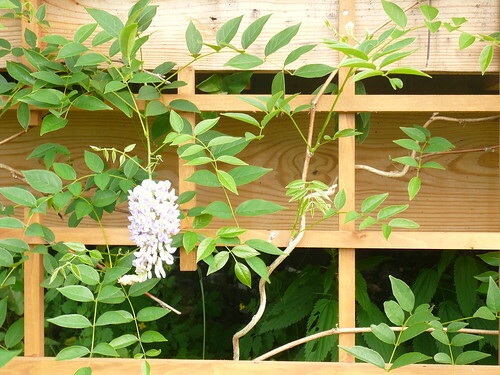 Did I mention we have Wisteria planted along the back deck? 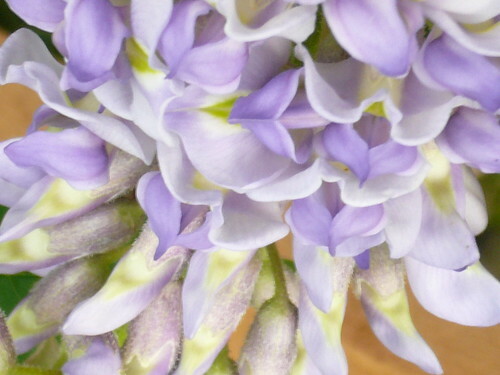 Sure, people in the south know Wisteria as an invasive species, akin to kudzu. Why would we plant it? Well, around here, Wisteria doesn’t survive very well, usually. This variety, however, was developed in Minnesota and is supposed to bloom well and survive cold winters. We planted two Wisteria vines in May. We have blossoms already. The vines will take over the deck by next spring.